Bradley Wiggins has selected Geraint Thomas to lead Team Sky’s next wave. Thomas is preparing to win the Tour of Flanders on Sunday, whilst Wiggins has only four race days left with Sky before he leaves the team for good. Wiggins will support Thomas for the Tour of Flanders and will see the favour returned in his last race for Sky, next Sunday’s Paris-Roubaix (April 12). Welshman Thomas, 28, has already won the Volta ao Algarve stage race this year and netted a big one, Belgium’s E3 Harelbeke one-day classic on Friday. “I said to him in Paris-Nice, I’ve never seen him like that before. 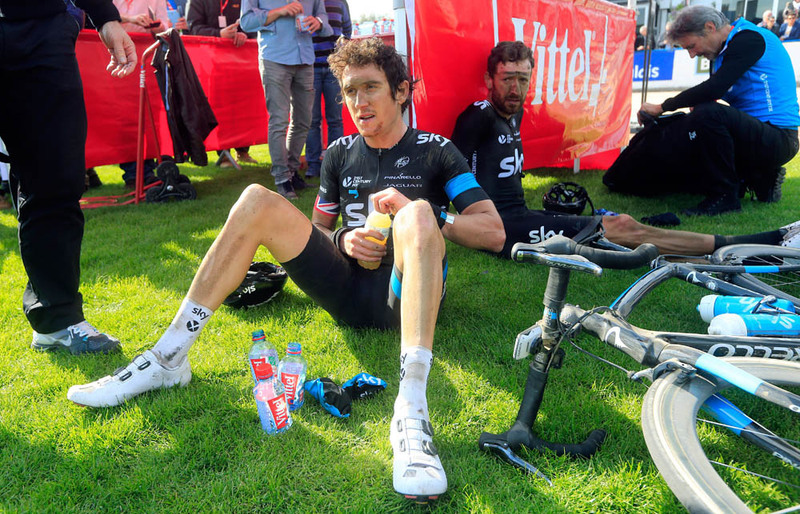 He’s normally a bit away with the fairies, but he was paying attention to his food and his mindset,” Wiggins explained. “He’s spent quite a few years racing for other people, being the strongman and being praised as the super domestique, but now he’s getting the opportunity and position where he has the confidence to ride at the front. Thomas attacked on the cobbled Kwaremont climb in E3 Harelbeke and formed the winning group with Peter Sagan and Zdenek Stybar. He rode away from the duo with 4.3 kilometres remaining to win solo. He came close on two other occasions. 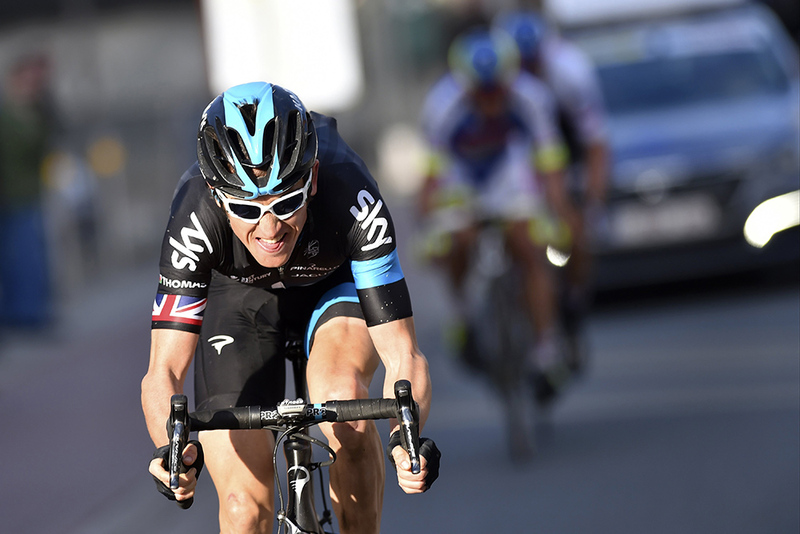 In Milan-San Remo, he led the race and attacked solo up the Poggio climb. Had teams Katusha and BMC Racing not reacted, he could have won the Italian monument. In Ghent-Wevelgem on Sunday, the wind blew him off the road, but he returned to the favourites group and chased lone Italian Luca Paolini with Niki Terpstra to take third place. “We’ve got probably the race favourite in Geraint so it’s pretty clear-cut what we have to do. Sky is pretty good at that, in getting their leader where he needs to be,” Wiggins added. Wiggins spoke before the second day of the Three Days of De Panne. The race marks the final phase of his career and the close of his chapter at Sky, which included winning the 2012 Tour de France. His story includes Thomas. They won the team pursuit gold medal together at the 2008 Beijing Olympics and debuted together with Team Sky in 2010. Thomas, after five years in Sky, is filling the leadership role just as Wiggins is leaving. “That’s the thing with Geraint. In some ways, he can do anything. That’s probably his biggest downfall in the last few years is that he gets used for everything, whether it’s in the mountains for people or second in a hilltop finish in Paris-Nice or winning one of these races, at some point you’ve got to specialise,” Wiggins said.